Just seeing the way Ruben looks at Valery, you can tell that he is crazy about her. I don't know them much yet, but one thing we can tell is that they are madly in love with each other. We had the pleasure to meet Ruben and Valery through Betty from Miami Wedding Planner and thanks to her, we will be part of their big day! We can't wait...we are super excited!! 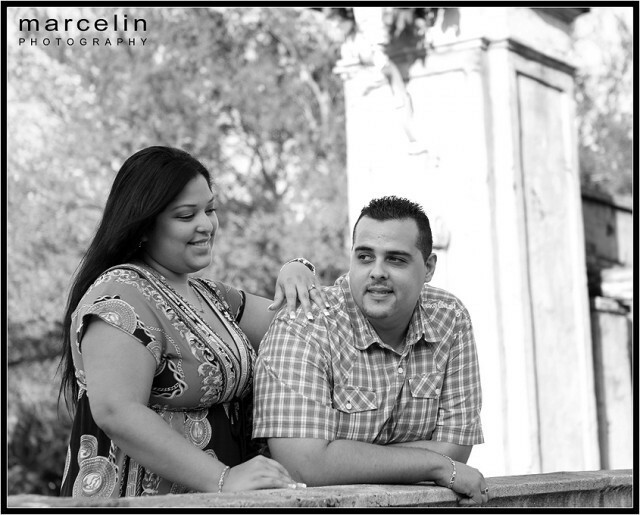 Their engagement photo shoot took place in the Coral Gables Ruins, City of Coral Gables, Florida. Some of the color and black and white pics are provided below for your enjoyment. Thalia and Luis are just too cute together. They're a constant reminder that love should also be fun. 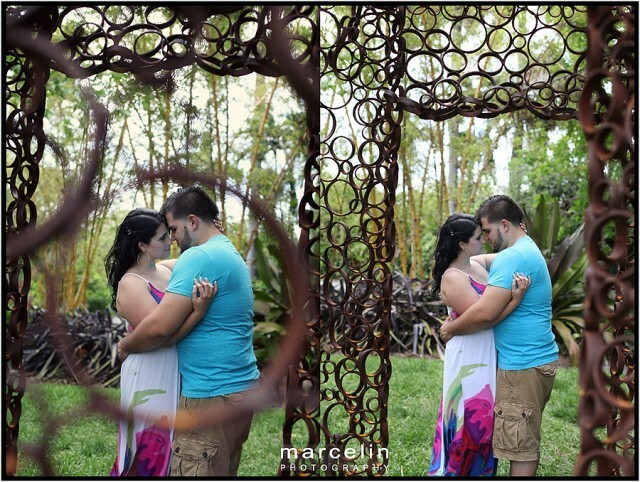 The engagement photo session took place in Miami Beach Botanical Garden, which was completely renovated in 2011 by South Florida's award-winning landscape architect Raymond Jungles. With a combination of plants and trees native to the Sunshine State, a Japanese garden, fountains, and plenty of water and ponds, this location is a lovely place for a garden-style engagement photo shoot. 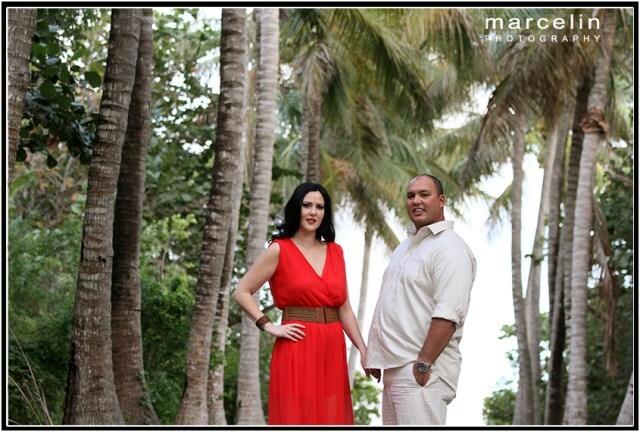 Llinet and Bruno's engagement session took place in Miami-Dade County's oldest park, Matheson Hammock, which first opened to the public in 1930. This photo shoot was very special to me because it involves my little cousin Llinet, who is getting married. Exciting!!! 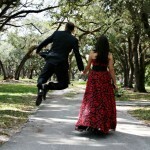 It is probably not so difficult to guess that I'll be shooting her wedding as well. 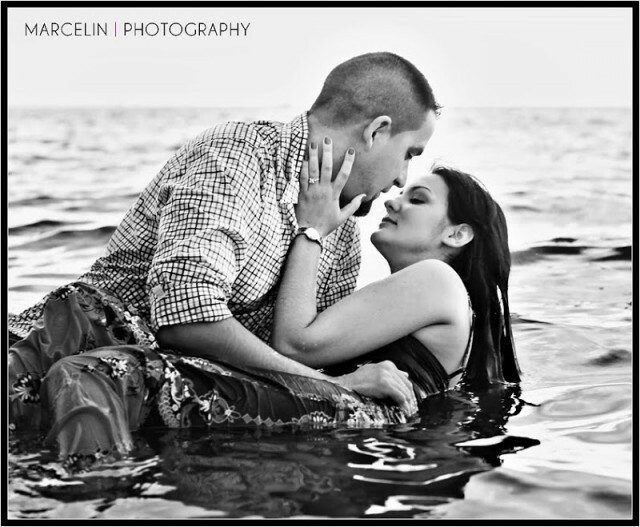 I love the black and white picture below of the newly engaged immersed in the warm waters of adjacent Biscayne Bay. You can just hear the whisper of a passionate kiss amongst the South Florida sea breeze engulfing the lovebirds. 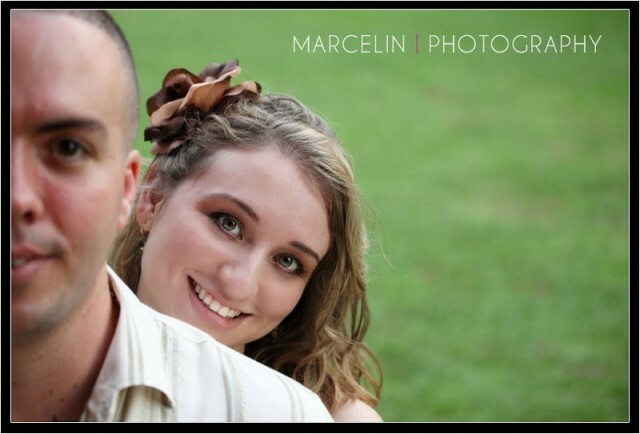 I had the pleasure of shooting the e-session for this wonderful couple, Dubi and Arianna. 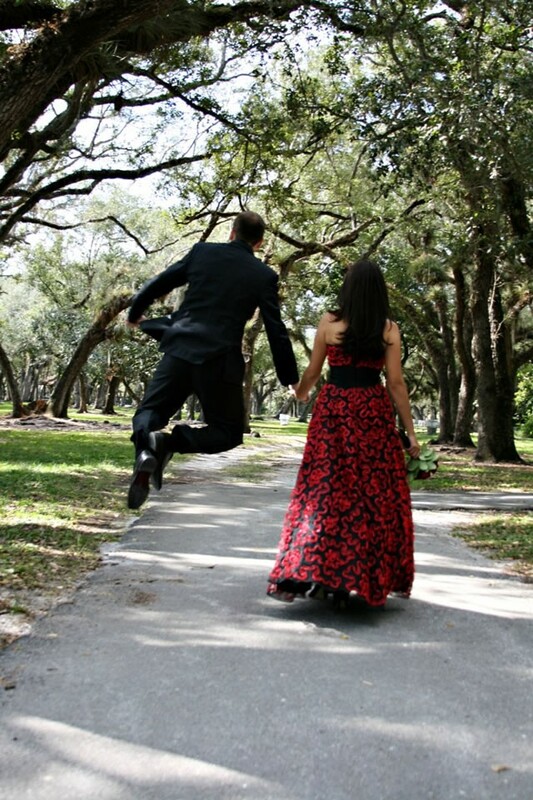 The photo shoot took place at Amelia Earhart Park located at 401 E 65th St, Hialeah, L 33014. Enjoy the pics.